The Monster Energy X-raid team and the duo of Leonid Novitskiy and Andreas Schulz came a step closer to reaching their goal of retaining the FIA World Cup for Cross-Country Rallies by winning the Baja Hungary on Sunday. Victory in the fifth round of the championship means that Novitskiy extended his lead in the overall standings over Frenchman Jean-Louis Schlesser. The success was the second of the season for the Russian after his triumph in the Rally of Tunisia. 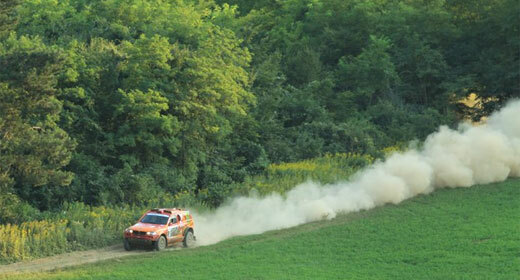 The Baja Hungary developed into a hard fight for victory between Novitskiy, Boris Gadasin and Miroslav Zapletal. The X-raid duo emerged victorious after two days and six special stages of competition on two different routes. The first took crews on a very twisty track through the woods near Gyor. On the second, the drivers passed through fields and over longer straights. “The victory was another important step for us and for Leonid”; said Monster Energy X-raid team boss Sven Quandt. “On stages three and four the ground was extremely hard and bumpy. This is where we were helped by our good strong suspension. The remaining stages were slippery but, even here, Leonid and Andreas made a very good job”. Jordi Viladoms, the untiring rider is back!